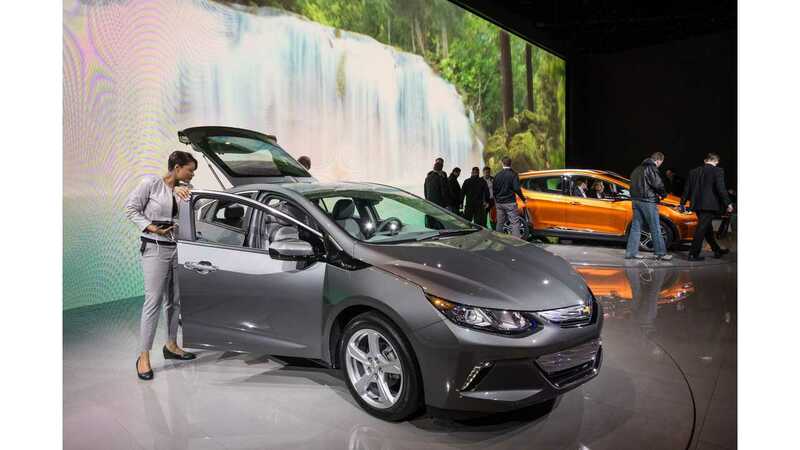 Chevy Offering $500 Off Bolt EV For Farm Bureau Members, Volt Too! Ah, the days of a myriad of different discounts, incentives, and financing offers. It is especially evident this time of year, with dealers trying to clear out inventory, and automakers pushing to boost end-of-the-year sales figures. We're pretty sure that dealers don't need to clear out EV inventory, but sometimes offers are for "all cars", thus including a deal on an EV. There are many deals out there that look great, until you realize that they are for some specific consumers, like College Grad, Military, First Responders ... or specific insurance company members? Yes, that it is. 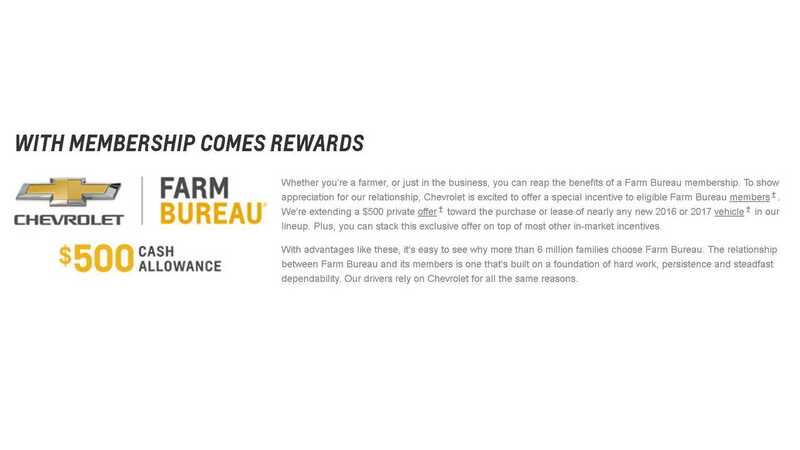 Members of Farm Bureau are those that benefit this time. We can tell you for sure, that if you are a member, you can enjoy $500 off of a 2016 or 2017 Volt, and now you can also get this deal on a Bolt EV! 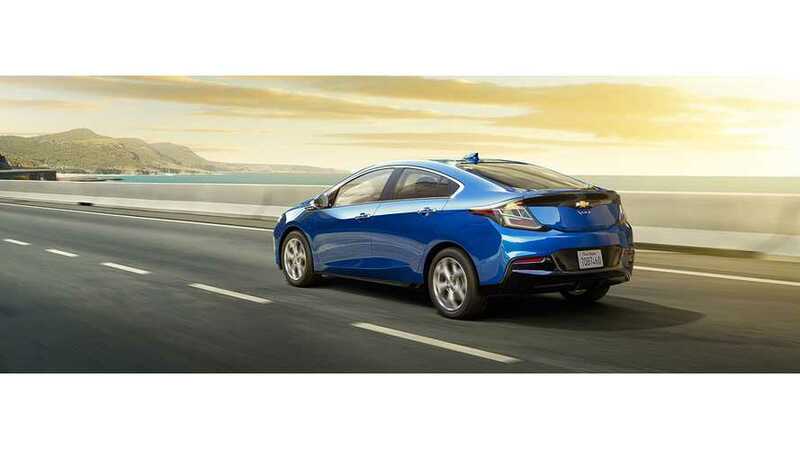 One page provided by Chevrolet shows the Bolt on the list of eligible cars, and a quick check of a local Chevy dealer site (in this case Jim Doran Chevrolet in Oregon), does indeed show the $500 as being applicable to the Bolt EV. On the slim chance that you are reading this post, planning to buy a Bolt, and are a Farm Bureau member, it would be smart to call your local dealer and inquire about availability of the 238 mile EV. Ford has some fairly amzing deals on the Focus Electric - at least for 2016 models (perhaps due to the 2017s arriving soon with upgraded 33.5 kWh batteries, good for 115 miles of range). 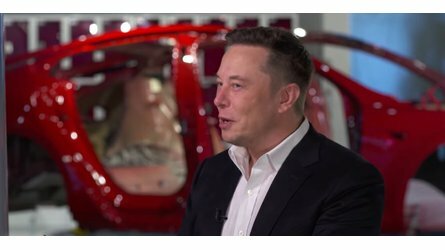 It's a great time to buy an EV!